Zella can be customized easily using Option Framework. It has a powerful theme options panel via SMOF. 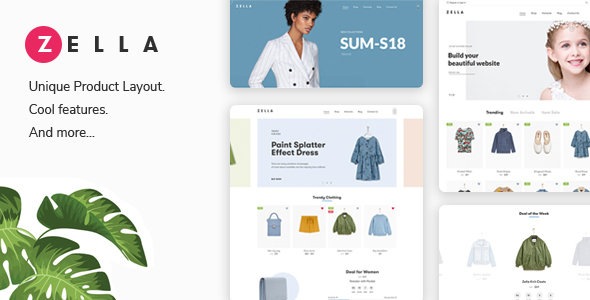 The theme also bundles custom-tailored version of the revolutionary Visual Composer which allows users to build various page layouts with minimum effort. - FIXED: Ignore Pause Countdown. 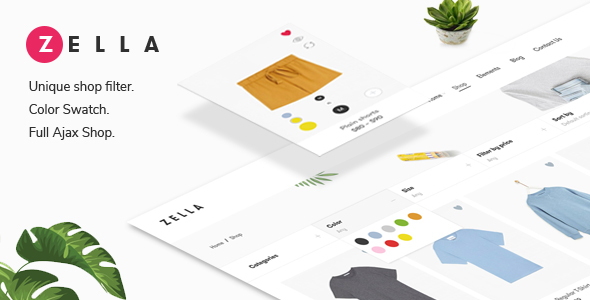 - FIXED: Some CSS taplet for Product Delas. - NEW: Compatible with Yith Wishlist Premium. - FIXED: Change Width form Lost Password. - IMPROVED: Remove WP Instagram Widget. - NEW: Gallery variable product. - NEW: Deal time for Quick view - Single Product. - COMPATIBLE: Jetpack - Lazy load images. - IMPROVED: Import demo data.